Jim practices corporate finance and real estate law, representing local and national real estate developers, lenders and investors with commercial real estate matters including apartments, industrial, office and retail projects, master planned communities and shopping centers. Jim has negotiated leases with national retail tenants, assisted borrower clients with securitized loans and synthetic leases, drafted various joint venture agreements and both closed and enforced secured loans in real and personal property collateral security. With 30 years of experience, Jim is well-versed in all corporate finance and real estate matters, having dealt extensively with a wide variety of legal issues. 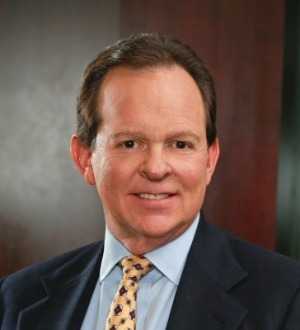 In 2012, Jim was named among the “Best Lawyers in America,” along with nearly two thirds of his fellow G&K shareholders. Representing a developer-client in the sale of a 190,000 square foot power center to publicly traded REIT. The sale involved earnout provisions, unique title insurance problems and fewer than 30 days to close. Representing an investor client in the acquisition of a speculative 54-acre commercial site. Due diligence issues included complex structure for utility infrastructure and zoning matters. Representing a national RV park investor in 54 separate acquisitions in Arizona, Florida, Texas and California; funding source included Wall Street investment bank. Each deal included profits participations, out of state due diligence and review of various local regulatory requirements. Representing a regional, residential community developer in its acquisition, development and sale of tracts to homebuilders in 640-acre master planned community.